The Cretaceous–Tertiary mass extinction, which wiped out the dinosaurs and more than half of species on Earth, was caused by an asteroid colliding with Earth and not massive volcanic activity, according to a comprehensive review of all the available evidence, published today in the journal Science. A panel of 41 international experts, including UK researchers from Imperial College London, the University of Cambridge, University College London and the Open University, reviewed 20 years’ worth of research to determine the cause of the Cretaceous–Tertiary (KT) extinction, which happened around 65 million years ago. 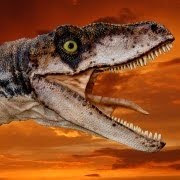 The extinction wiped out more than half of all species on the planet, including the dinosaurs, bird-like pterosaurs and large marine reptiles, clearing the way for mammals to become the dominant species on Earth. Today’s review of the evidence shows that the extinction was caused by a massive asteroid slamming into Earth at Chicxulub (pronounced chick- shoo-loob) in Mexico. The asteroid, which was around 15 kilometres wide, is believed to have hit Earth with a force one billion times more powerful than the atomic bomb at Hiroshima. It would have blasted material at high velocity into the atmosphere, triggering a chain of events that caused a global winter, wiping out much of life on Earth in a matter of days. Scientists have previously argued about whether the extinction was caused by the asteroid or by volcanic activity in the Deccan Traps in India, where there were a series of super volcanic eruptions that lasted approximately 1.5 million years. These eruptions spewed 1,100,000 km3 of basalt lava across the Deccan Traps, which would have been enough to fill the Black Sea twice, and were thought to have caused a cooling of the atmosphere and acid rain on a global scale. In the new study, scientists analysed the work of palaeontologists, geochemists, climate modellers, geophysicists and sedimentologists who have been collecting evidence about the KT extinction over the last 20 years. Geological records show that the event that triggered the extinction destroyed marine and land ecosystems rapidly, according to the researchers, who conclude that the Chicxulub asteroid impact is the only plausible explanation for this. Despite evidence for relatively active volcanism in Deccan Traps at the time, marine and land ecosystems showed only minor changes within the 500,000 years before the time of the KT extinction. Furthermore, computer models and observational data suggest that the release of gases such as sulphur into the atmosphere after each volcanic eruption in the Deccan Traps would have had a short lived effect on the planet. These would not cause enough damage to create a rapid mass extinction of land and marine species. In the review, the panel sifted through past studies to analyse the evidence that linked the asteroid impact and volcanic activity with the KT extinction. One key piece of evidence was the abundance of iridium in geological samples around the world from the time of the extinction. Iridium is very rare in Earth’s crust and very common in asteroids. Immediately after the iridium layer, there is a dramatic decline in fossil abundance and species, indicating that the KT extinction followed very soon after the asteroid hit. Another direct link between the asteroid impact and the extinction is evidence of ‘shocked’ quartz in geological records. Quartz is shocked when hit very quickly by a massive force and these minerals are only found at nuclear explosion sites and at meteorite impacts sites. The team say that an abundance of shocked quartz in rock layers all around the world at the KT boundary lends further weight to their conclusions that a massive meteorite impact happened at the time of the mass extinction. The panel was able to discount previous studies that suggested that the Chicxulub impact occurred 300,000 years prior to the KT extinction. The researchers say that these studies had misinterpreted geological data that was gathered close to the Chicxulub impact site. This is because the rocks close to the impact zone underwent complex geological processes after the initial asteroid collision, which made it difficult to interpret the data correctly.